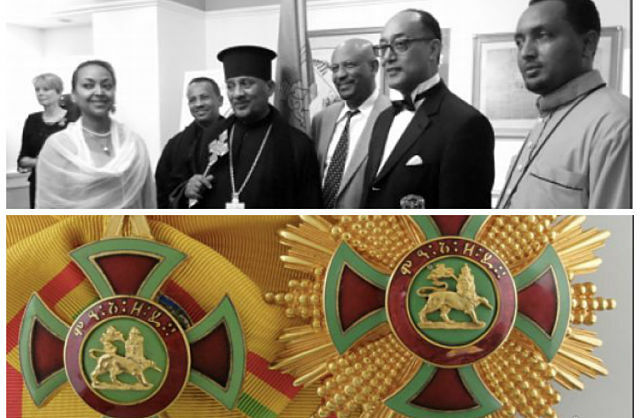 New York (TADIAS) — This coming weekend at the Army and Navy Club on Farragut Square in Washington, D.C., Ethiopian guests will gather for a black tie event hosted by Prince Ermias Sahle Selassie, the grandson of Emperor Haile Selassie and head of The Crown Council of Ethiopia. The event is both a celebration of Ethiopia’s historic victory at Adwa as well as to give out honorary medals to selected individuals who have distinguished themselves through their dedicated contribution to Ethiopian society at large. In addition Denver, Colorado-based businessman Mel Tewahade, among others, will be given the “Grand Officer of the Order of the Star of Honor” (GOSE) during the private ceremony to be held on February 25,2017 at the Annual Victory of Adwa Commemorative Dinner, according to Gregory Copley, a Strategic Advisor to the Crown Council of Ethiopia. The newspaper Negarit — The Journal of The International Society for the Imperial Ethiopian Orders — notes that the annual event, now in its sixth year, commemorates the victory of Emperor Menelik II over invading Italian forces at the Battle of Adwa on March 1, 1896.